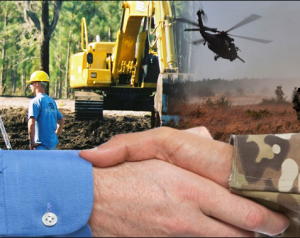 If you are a Military veteran and are looking for a different career opportunity where you can utilize your skills and discipline, the heavy equipment industry presents several lucrative opportunities. Many heavy equipment training schools run training programs for veterans. These training schools provide benefits to veterans under different programs, including GI Bill. So, depending on your current veteran status, you can join heavy equipment operator training for veterans at one of these schools and enjoy education benefits that you are eligible for. Once you successfully complete heavy equipment operator training, you will qualify for a number of jobs in the construction industry. One of the best things about these jobs that most veterans would like is job satisfaction. Workers in the construction industry are amongst the happiest when compared with other industries. There are a number of reasons why people who are a part of the construction industry so happy with their jobs. Higher pay, great co-workers, growth opportunities, and management support amongst others are a few of those reasons. However, veterans need to first decide whether they will be comfortable working in this industry or not. They should study the ins and outs properly and match those with the expectations they have in mind. If there is a match, they should go ahead and look for a training school that can help them acquire the skills that are specific to this job. From what we have heard, the construction industry is probably the best place for veterans. They love the daily routine. The job is a little demanding too – something that veterans are used to. So, for most veterans these jobs are a perfect fit. Join Heavy equipment operator training for veterans if it is for you too.